Summary:What happens when a trio of friends find themselves trapped inside a board game, forced to play challenges designed by a man who calls himself The Architect or risk being trapped forever? The only thing they can do, play to win. 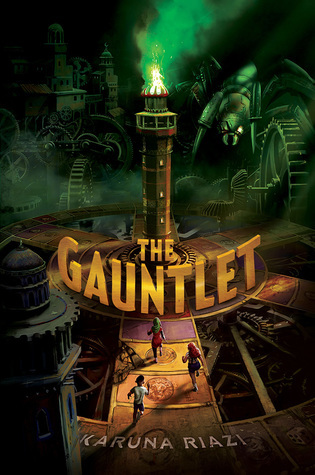 The Gauntlet is a fast-paced, intriguing read that has been described as Jumanji with a Middle-Eastern flair. This book is a fantastic summer read, perfect for those middle grade readers who love adventure! My Thoughts: I started to see buzz on Twitter about this middle grade read and I just had to buy it for myself. I want books on my shelf that my children can pick up later in life and see people and cultures in the pages that is different from their own experiences. I'm so excited that Simon and Schuster have started the Salaam Reads Imprint! I hope we see more and more from this imprint and from these #ownvoices authors. Below are their guidelines for submissions from their website. I love that their goal is to, "have more positive and well-rounded portrayals of Muslim kids and families in mainstream children's media." "Salaam Reads is actively seeking to publish books that center on Muslim children and families. Submissions can be works of fiction or nonfiction, from picture book (for ages 4+) to young adult (protagonists 18 or under). There are no genre restrictions—historical, contemporary, speculative, memoir, etc., are all welcome, as long as their content is suitable for a young reader. Please note: we are not looking for books about Islamic theology or history, just books where a Muslim child is the protagonist. The goal is to have more positive and well-rounded portrayals of Muslim kids and families in mainstream children's media." I have been excited to recommend this book four our middle grade adventure lovers this summer, BUT it has been checked out since it hit the shelf. Which is a FANTASTIC thing! 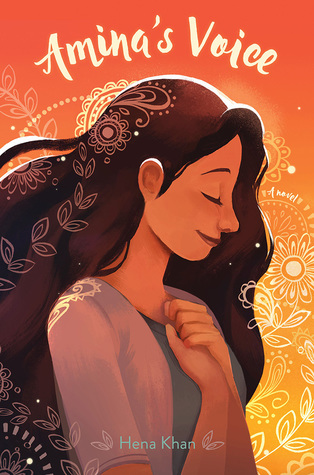 I also want to eventually get my hands on the other middle grade fiction title from this imprint, "Amina's Voice."